I am still regularly asked if this ‘Customer Experience thing’ is really a ‘thing’ at all. 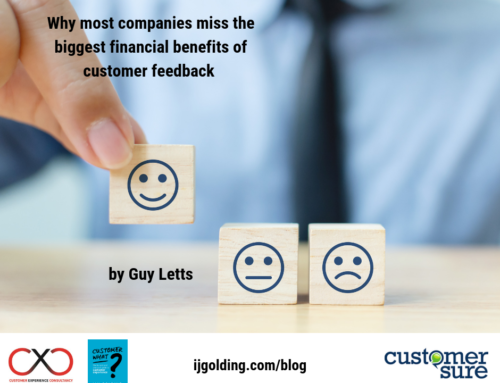 Despite the growing waves of publicly available evidence that proves the positive effect a customer centric approach to business can have – and specifically the effect it has on financial performance – there will always be the doubters! As a result, on occasion it is important and necessary to highlight bad news stories that further bring to life what can happen to an organisation if every single person within it does not understand the role they play in pulling together consistently good customer experiences. NPower is one of the UK’s ‘big 6’ energy companies. Owned by the German company RWE, according to their website, they claim to be a leading integrated UK energy company supplying gas, electricity and related services to residential and business customers. They also operate and manage a flexible portfolio of coal, gas and oil-fired power stations. It makes pretty dismal reading. According to Ofgem (the UK energy regulator), NPower and competitor Scottish Power also score considerably lower than all other energy companies across almost all of their customer satisfaction measures. Additionally, Npower also came bottom of the annual Which? energy company satisfaction survey for the sixth year running. Is it any surprise this is a business that is losing money? Obviously I am unable to comment on the effect turmoil in the oil market has had on the financial performance of NPower. However, what I can comment on is the devastating effect its financial performance has had on its own people. Today, NPower announced that it is cutting 2,500 jobs from its UK workforce – a fifth of all its employees. However much anyone cites the financial markets as a contributing factor, there is absolutely no doubt that NPower’s long term and continued inability to deliver an improved Customer Experience is a key element of its current predicament. In times of economic struggle (connected to the oil price), NPower’s approach to Customer Experience has made it impossible for them to differentiate themselves from the competition. 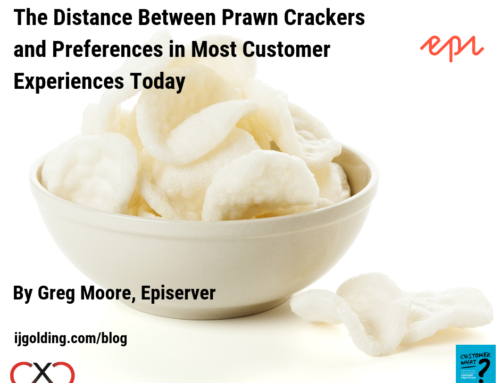 Rather than wining customers from their competitors, their competitors are picking up a veritable feast from the ashes. With new energy players causing even more disruption in the industry (such as Ovo Energy and Ecotricity), things are only going to get harder for them. The catastrophe here is that it is the NPower employee who has to suffer the consequences. We the UK consumer can choose to take our business elsewhere. 2,500 employees are now going to have to find another job. You can read more about the NPower story via this BBC news article, or this lovemoney.com article on the UK’s worst energy provider. British Home Stores (or BHS as it is known), has been on the British high street since 1928! Started by American entrepreneurs, the aim was to match the success of another retail stalwart – Woolworths. 88 years later, the question is whether or not BHS will go the same way as the company they tried to emulate! In 2008, Woolworths left a huge hole in high streets all over Britain – it had completely failed to remain relevant to the consumer and ceased to be a viable business. Today, BHS is remarkably close to mirroring Woolworths as they try to secure a Company Voluntary Arrangement – a form of compromise with its creditors. With huge debts and enormous pension deficits, billionaire retail magnet Sir Philip Green sold the ailing retailer in 2015 for the princely sum of £1. I don’t know about you, but I always find that kind of thing startling. Even though Sir Philip wrote off over £200 million of debt, poor Christmas sales and ever growing rent bills have almost pushed the business over the edge. The question is why? If you live or work in Britain, can you remember the last time you shopped in BHS? Have you ever shopped with BHS online? Do you even know who BHS is aimed at? If you have answered in the negative to any of these questions, then you are very likely to be a contributor to this particular organisations current situation. In my opinion, BHS has repeated the mistake of the very company it was created to copy – it has completely ceased to be of relevance to the UK consumer. As with NPower, the consumer has chosen to take their business elsewhere – I would wager that many would not even notice if it disappeared off the high street. However, once again, the group of people who suffer most is the employee – not only is the pension scheme in strife, over 300 jobs are being cut from a business that to all intents and purposes looks the same today as it did five/ten years ago. At the end of the day, it is vital that all organisations continually ensure that their proposition or purpose remains relevant to their customer – if BHS had been measuring the ability of their customer journey to deliver their proposition, rather than solely financial performance, then they would have stood a better chance of continually improving their ability to satisfy customers. You can read more about the BHS story in this BBC article and in this Guardian article. Moonpig.com is a business based in London and Guernsey which sells personalised greeting cards. According to Wikipedia, their website was launched in July 2000, and in 2007 the company was responsible for 90 percent of the online greeting card market in the United Kingdom, with nearly six million cards shipped. Moonpig was one of the big successes of the ‘dot com’ boom. Radically simplifying the customer experience, consumers could create, personalise and send cards for all occasions at the click of a mouse. I myself have used Moonpig many times – for someone who perennially forgets to send cards, it has often been a lifesaver!! The sustained success of Moonpig is no different to that of NPower or indeed BHS. 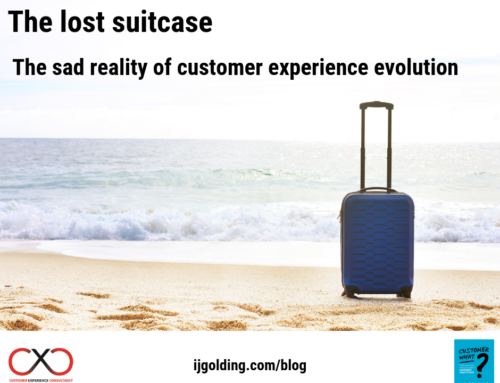 Their ability to remain relevant to the consumer whilst continually getting better at delivering the end to end Customer Experience is critical. So as with many organisations, to remain relevant, Moonpig has continually expanded their range. The 6th March 2016 was Mothering Sunday in the UK. Capitalising on what has become an increasingly commercialised event, not only were you able to send Mum a card using Moonpig, you could also send additional gifts, such as flowers. The thing about a business like Moonpig is that it is extremely timebound – if you order a card for a specific day – you expect that card to arrive on the day it was ordered for – it is rather critical. On the 6th March 2016, this went terribly wrong for Moonpig. The company has been forced to apologise after being bombarded with complaints from customers about deliveries of Mother’s Day cards and flowers that were damaged, delayed or failed to arrive. Blamed on ‘a supplier’, the incident has been a social media disaster for the organisation – whilst at the same time they have become the latest example of what happens if you are not in control of the end to end customer experience. There are certain situations where no excuse is good enough – you just cannot get it wrong. It is yet to be seen what the permanent damage to Moonpig will be, but I think it is highly likely that most of the affected customers will not be using them again. You can read about the Moonpig story in this Sky News article. I take no pleasure in sharing these stories with you – the negative effect they have all had on customers….. but more importantly…. employees must not be underestimated. 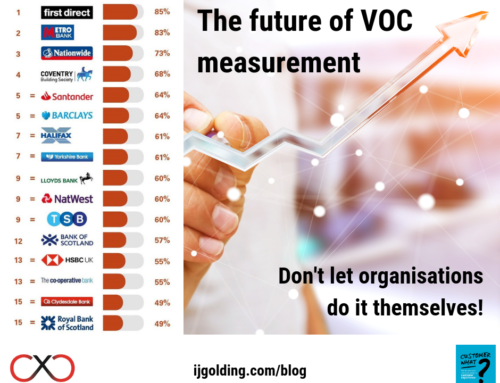 Whilst organisations still fail to focus on getting better at engaging with their people – customers and employees – examples of the consequences will continue to come to light. Don’t let your company become a case study…. for the wrong reasons…. and add even more fuel to the Customer Experience fire! !